The Power Pack DALI enables simple & straightforward lighting control solutions based on the digital DALI protocol. 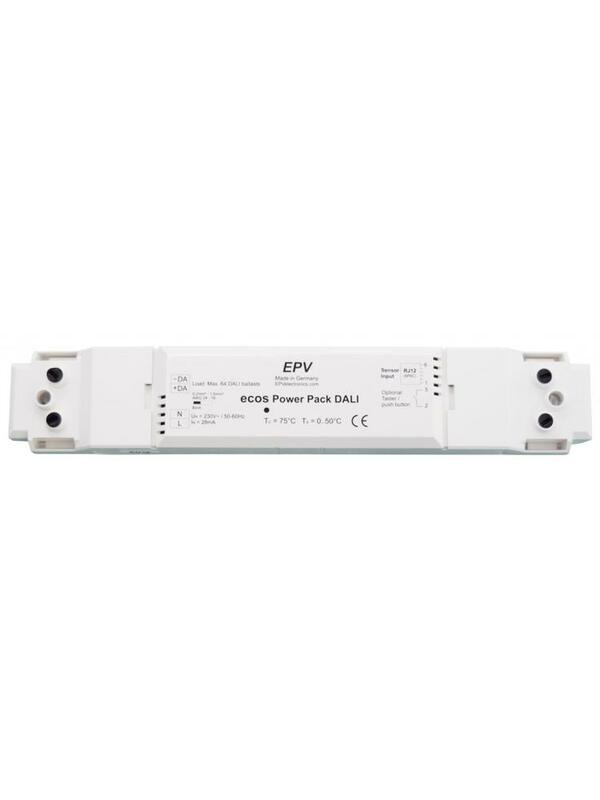 All EPV ecos PM/24V occupancy sensors can be connected. No DALI sensors are required. 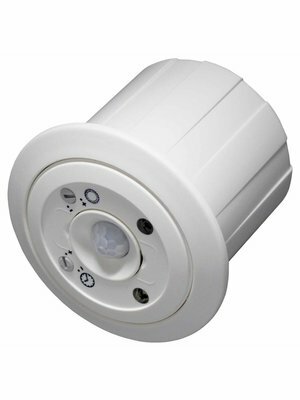 The easy way to implement occupancy sensing & daylight dimming control with DALI. The implementation of energy-saving lighting control with DALI is often complex, expensive and time consuming. However, the popularity of DALI is increasing, especially in small and medium sized projects. For these projects, solutions are required where reliability and costs are comparable with 1-10V systems that would have been specified in the past. With EPV’s Power Pack DALI such a solution for occupancy sensing and daylight control is now available. 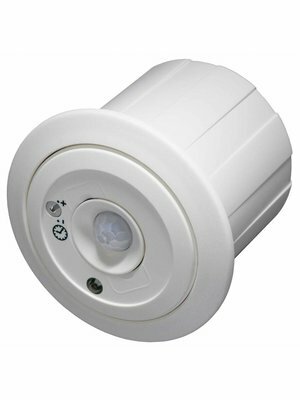 On the sensor side, inexpensive 24V occupancy sensors are operated via plug & play (no DALI sensors necessary). 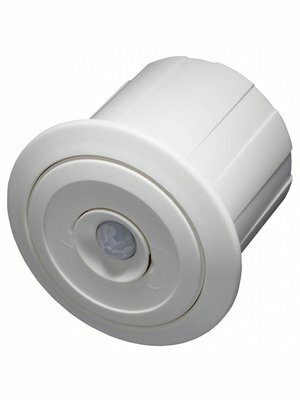 A MASTER sensor can be extended with up to 30 SLAVES to cover even extremely large areas reliably. No software programming is required since all settings are made directly at the MASTER sensor. On the luminaire side, the Power Pack supports a DALI group of up to 45 DALI devices such as ballasts or LED drivers in broadcast mode. If required, this number can be easily increased. In addition to the energy-saving automatic mode, the lighting can be dimmed up and down manually through a parallel push button (e.g. for presentations). A short push brings the room back into automatic mode. Thanks to clearly defined status indications, commissioning and troubleshooting are on a similar level as that of simple 1-10V installations. In addition to standard applications such as offices or classrooms DALI solutions can also be designed for factories, sports halls or high-bay warehouses by using EPV’s 12 meter sensors.